U.S. Legislative Staff/Council/Commission: United States Senate (Intern for United States Senator Dave Durenberger); 198? to 19?? Municipal Board/Commission: Eagan, Minnesota (City Planning Commission, Chair); 1988 to 199? He was of Polish and German ancestry. He ran unsuccessfully for the Republican party endorsement for President of the United States in the 2012 election. He stepped down after coming in third in the August 2011 Iowa straw poll. He ran usuccessfully for the Republican party endorsement for Minnesota Governor in the 1998 election. He dropped out of the race when Norm Coleman announced that he was running. In 2018, he ran for governor but did not seek party endorsement. He lost the primary. Religion provided by the Star Tribune. They state that he is a member of Wooddale Church which is affiliated with the Baptist General Conference. (Star Tribune, 11/7/2006). He's been identified as being raised Catholic and converting to the Baptist faith. Other sources (such as Wikipedia) also identify him as Baptist, while a City Pages article identified him as Lutheran; in 2006, the Governor's Office identified him as Christian. The Daily Telegraph in 2010 states "A Catholic who converted to become a Protestant evangelical." Occupation: Vice President for Corporate Development, Wizmo Inc.
Minnesota. 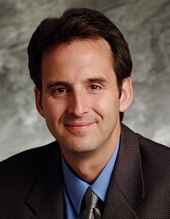 Governor (2003-2011 : Pawlenty). Governor's Office Photographs. Minnesota Historical Society. Pawlenty, Tim. Courage to Stand: An American Story. Carol Stream, Illinois: Tyndale House, 2010. Robson, Britt. "Minnesota Held Hostage." City Pages, June 1, 2005, p. 14-23. Martin, Grant. "Pawlenty Aims to Score on Issues, Put Bickering on Ice." Session Weekly, St. Paul: Minnesota House of Representatives Information Office, January 22, 1999, p. 13. Samaha, Adam. "Pawlenty Hopes to Bridge Suburban, Urban Concerns." Session Weekly, St. Paul: Minnesota House of Representatives Information Office, January 29, 1993, p. 15. Tim (Timothy J.) Pawlenty. Biographical Information from the Minnesota Historical Society's Governors of Minnesota.